Gigantic elephants are one of the highlights of the show. (PHoto: Supplied)When the elephants are gone, The Greatest Show on Earth will never be the same again. When the elephants are gone, The Greatest Show on Earth will never be the same again. Animal lovers worldwide welcomed the recent announcement of Feld Entertainment, the parent company of Ringling Bros. and Barnum & Bailey Circus, to end elephant circuses by 2018. The company said 13 elephants will be finally off the road by then. The People for the Ethical Treatment of Animals (PETA) is pleased, but says it is not enough. PETA said the news is “wonderful” but the elephants in captivity cannot wait for another three years as they are already suffering from arthritis and tuberculosis. PETA US has campaigned for 35 years against Ringling’s abuses of elephants. “If Ringling are really telling the truth about ending this horror, today will be a day to pop the champagne corks and rejoice,” PETA US said. PETA US held several protests and has published video exposés, powerful ad campaigns and letters from supporters over the years. It documented Ringling’s treatment of animals on video, and released photos of violent training of baby elephants. Investigators and whistleblowers have repeatedly documented the extreme abuse of animals that occured everyday. Three years is too long for a mother elephant separated from her calf. It’s too long for a baby elephant beaten with a bullhook. It’s too long for an animal who would roam up to 48 kilometres a day in the wild but who is instead kept in shackles. We need to get these elephants off the road and out of boxcars today! CNN’s Todd Leopold wrote a piece looking at the future of circuses without elephants. He notes that elephants are usually the stars of the parade when circuses come to town, citing a university professor. The fact is animal circuses have become a sunset industry and the elephants are saying goodbye. Thirty countries around the world have already banned the use of exotic or all animals in circuses. People’s attitude towards the plight of animals in circuses has also been increasingly heard. Many other countries have also been working on legislation to follow suit. The UK government had suggested the total ban of its wild animals in circuses by 2015. The government committee said wild animal circuses have become a sunset industry. Animals Defenders International (ADI), meanwhile, wants Ringlings to extend phasing out all wild animals in traveling circuses and for other circuses in the US to follow suit. Jan Creamer, ADI President, said ADI is pleased to hear of the announcement after decades of exposing the suffering of animals in circuses behind the scenes. The evidence is clear that in the circumstances of a traveling show, it is not possible to provide these animals with the environment and facilities they need to maintain health and well-being. The public is increasingly educated about the needs of other species and does not like to see them suffer for a few minutes of entertainment. Why Australia’s secret cull of 700 koalas doesn’t come as a surprise? It was shocking to hear of the secret cull of about 700 starving koalas in the Cape Otway region near the Great Great Ocean Road in western Victoria, but this does not come as a surprise. Australian media, including The Age said “wildlife officials did three euthanasia sweeps to kill 686 koalas in 2013 and 2014 in a covert campaign that was designed to avoid any backlash from green groups and the community.” The newspaper claims the cull was conducted under the previous Liberal government to address overpopulation. Many koalas in Victoria have become refugees, displaced from their habitats due to mismanagement of gum tree plantations. Friends of the Earth (FoE) campaigner Anthony Amis said their habitats have been shrinking more rapidly against a “large number” of koalas. He said once plantations are logged, koalas that survive clearfelling become homeless, feeding on whatever suitable vegetation is remaining. At several locations, there are koalas living in a couple of trees. This often results in over-consumption of vegetation. He said, “Unless the koalas move on, vegetation will probably be overbrowsed, with the animals eventually starving to death”. There are regions in western Victoria where displacement resulted in starvation and deaths. The Crawford River Region is one example where some of the displaced koalas moved to roadside vegetation, including old growth trees. The region has between 7,000 and 8,000 hectares of bluegum plantations. In some native forests where koalas already exist, the influx of displaced koalas poses a great challenge. Most of them may remain homeless with no food to eat. “t is not good enough for the State Government and plantation companies to sit on their hands and do nothing about this problem. It is clear to us that we are only now witnessing the start of what will be a protracted and controversial problem. Amis also noted that since the mid 1990s the State Government embarked on controversial fertility control options to control koala populations and reduce overbrowsing. He said, “Mt Eccles National Park and Framlingham forest have suffered overbrowsing in the past. We hope this situation does not increase into other areas in the South West”. The population boom is presumed to be a result of displaced koalas coming from French Island. He explained the animals are more likely to be free from Chlamydia which means “the natural process of population control in koalas does not apply to South West Victorian Koalas”. On the sidelines of Operation Icefish, the Sea Shepherd group saw one of the most spectacular sea creatures in the South Indian Ocean while chasing a Nigerian-poaching vessel from the Antarctic. The crew spotted of a rare type of killer whale which was not been seen for decades. The crew of the MY Bob Barker ship encountered “Ecotype D Orcas” while passing between the Crozet and Kerguelen archipelagos in pursuit of the toothfish poaching vessel, Thunder, in late December. Robert Pitman, Marine Ecologist and Antarctic Orca expert from the Southwest Fisheries Science Center of the National Oceanic and Atmospheric Administration in the US, confirmed the whales are type D orcas based on the photographs sent by the crew. While examining the photographs, Pitman also said he believed they have never before been filmed alive. Scientists admitted that little is known about this type of Orca, which is infrequently seen in inaccessible subantarctic waters. The last sighting of the rare whales was in 1955 on Paraparaumu Beach, New Zealand. While typical killer whales—types A, B, and C—have streamlined bodies and large, white eye-patches, type D whales have tiny eye markings and large, bulbous heads. Researchers are said to have sequenced type D’s genome using material collected from a museum skeleton from 1955. Sea Shepherd said DNA retrieved from the 1955 stranding revealed that Ecotype D’s genetic differences point at a divergence from other Orcas about 390,000 years ago. This makes Ecotype D the second oldest Orca type, and second most genetically divergent. Determining how many species of Orcas there are is critically important to establishing conservation measures and to better understand the ecological role of this apex predator in the world’s oceans, it concluded. Marine conservation group, the Sea Shepherd, is gearing up for another Southern Ocean expedition in time of Antarctic summer. The group suspects the Japanese will not return to kill whales this hunting season, but if they do, they will drive them back to Japan. The International Court of Justice declared in March this year Japanese whaling in the area is illegal. Sea Shepherd is launching the next mission called Operation Icefish to catch poachers of Patagonian and Antarctic Toothfish. The group said toothfish poaching is another threat in the area that has had a devastating effect on icefish population. They warn illegal fishers they will seize nets and will work with authorities to confiscate illegal boats. The Sea Shepherd ship, Sam Simon, arrived in Auckland’s harbour yesterday after a voyage from Melbourne. The ship, carrying 25 crew from around the globe, arrived in New Zealand to source supplies and to prepare for the upcoming operation. Operation Icefish will be the first campaign of its kind, using innovative direct action tactics to fill a law enforcement void exploited by illegal toothfish operators. The Bob Barker and the Sam Simon will leave Hobart and Wellington, respectively, to patrol the Antarctic. An Australian Government report said there is a large-scale illegal toothfish fishing around Southern Ocean which was first noticed in 1997. Surveillance and monitoring were then put in place. According to the report, there was a spike in catch up to three to four times higher than the allowable and legal catch of species in all areas. According to the Coalition of Legal Toothfish Operators Inc, illegal, unregulated and unreported (IUU) fishing for toothfish “has been reduced by about 95% since peak levels in the 1990s.” At present, IUU fishing for this specie is restricted to the high seas and mostly, they are caught by gillnet. Patagonian toothfish (Dissostichus eleginoides) is the most valuable fishery in Antarctic or subantarctic waters. Prices could fetch up to $US10 per kilo for headed, gutted and tailed fish in major markets in Japan and the United States. Toothfish can grow to a large size (over 2 m long and 100 kg in weight). Its white flesh is considered to be of top quality with few bones. Tootfish is served as a gourmet dish in upscale restaurants around the world. International conservation groups praise the decision of the Hague-based International Court of Justice (ICJ) to drive out the Japanese from whaling in the Southern Ocean. The Court ordered Monday the immediate revocation of special permits granted to Japanese whalers to kill and gather whales in the name of scientific research. Australia filed the case against Japan in 2010. Today, the Court announced its verdict and ordered Japan to immediately refrain from authorizing or implementing any special permit whaling which is not for purposes of scientific research within the meaning of Article 8. It also ordered to cease with immediate effect the implementation of JARPA II; and to revoke any authorization, permit or licence that allows the implementation of JARPA II. Sea Shepherd Conservation Society USA and Sea Shepherd Australia (SSA) welcome the decision. Both have directly intervened against Japanese whaling in the Southern Ocean. Last week, SSA’s fleet under “Operation Relentless” arrived home in Melbourne from the Southern Ocean just in time of the end of another whaling season. It announced the success of its campaign in saving at least about 750 whales from the Japanese slaughter. The Sea Shepherd sent their representatives to the court listen to the verdict, which include Captain Alex Cornelissen, Executive Director of Sea Shepherd Global and Geert Vons, Director of Sea Shepherd Netherlands. They were also accompanied by Sea Shepherd Global’s Dutch legal counsel. The ICJ, by 12 votes to four, said Japan hadn’t acted in compliance with its obligations under the international whaling convention. Australia had asked the 16-judge panel to ban Japan’s annual hunt on the basis it was not “for purposes of scientific research” as allowed under the international whaling convention. “In the absence of law enforcement in the Southern Ocean, Sea Shepherd has been the only organisation upholding the law in defence of the International Whale Sanctuary, while Japan has been consistently breaking the law and this ruling now proves that,” Hansen concluded. Former Greens Senator and now Sea Shepherd Australia (SSA) chairman, Bob Brown, spoke in Hobart Monday to confirm the Sea Shepherd Fleet has located all five Japanese whale poaching vessels, including the Japanese factory ship, the Nisshin Maru, inside the Southern Ocean Whale Sanctuary (SOWS). 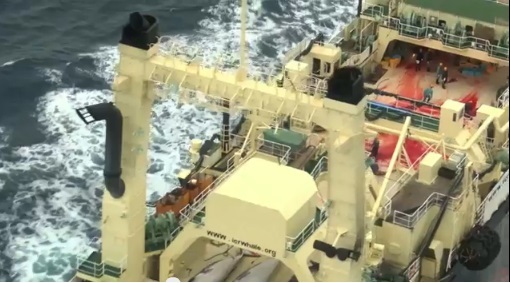 Three SSA vessels – The Steve Irwin, The Bob Barker, and The Sam Simon – are now pursuing the Japanese whaling fleet. Their mission is to drive them away from the target poaching grounds, disrupt their hunt, prepare to shut down their whale-killing operations, and to ultimately send them back home. The Steve Irwin’s helicopter first located the Nisshin Maru at 64°44′ S, 162°34′ W, in New Zealand’s sovereign waters in the Ross Dependency Antarctic region, and inside the internationally recognised SOWS. 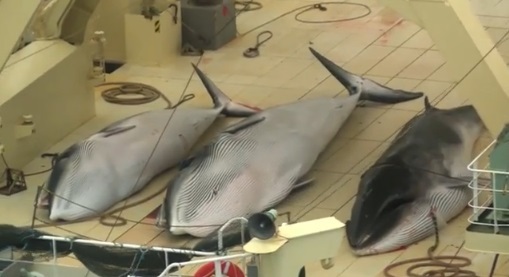 Sea Shepherd claims it has obtained footage and images of three dead protected minke whales on the deck of the Nisshin Maru, taken at the time the factory ship was first located. A fourth whale, believed to be a minke, was being butchered on the bloodstained deck. 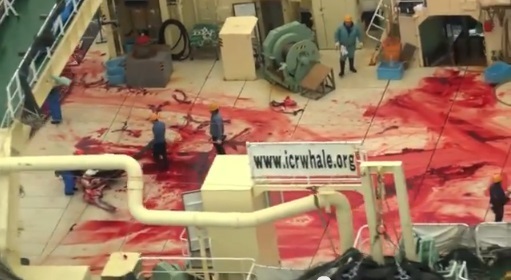 The group denounced the blood stains on the deck of the Japanese vessel and called it a barbaric act. Captain of The Steve Irwin, Sid Chakravarty, said, “When ‘science’ requires you to grotesquely bloat up the bodies of protected whales, stroll across a deck smeared with their blood, hauling their body parts with hooks and chains, and discarding their remains over the side, then that ‘science’ has no place in the 21st Century. Once again, the Japanese government has shown flagrant disregard for international law by continuing their illegal whale hunt while the world patiently awaits a decision from the International Court of Justice. 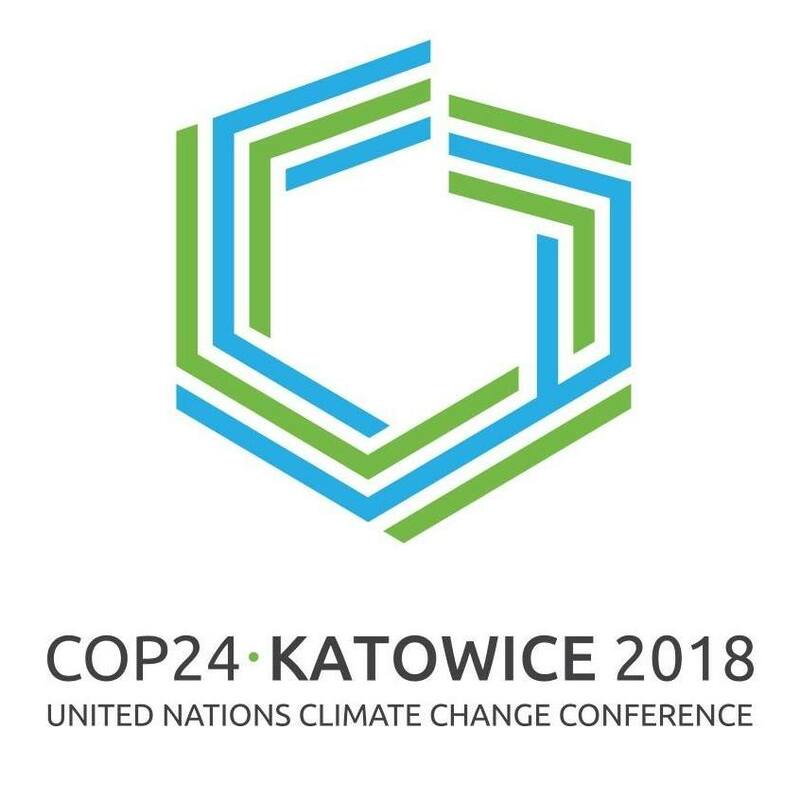 The Japanese government’s dishonourable attempt the skirt the legal process is an insult to the cooperation demonstrated by people around the world, dedicated to enacting conservation laws out of a shared recognition for the need for environmental protection. Baby boomers and Gen Xs may remember the fond memories of going to the circus to see elephants, lions, and bears do their tricks. Gone are those days and, now, new generations may never see such entertainment again. Animal activists say the industry has to close shop soon. Animal advocates worldwide are crying “enough!” and are calling for a more compassionate world where animals must be treated more sensibly — without violence, pain, and suffering. Reese Witherspoon and Robert Pattinson promote their movie, Water for Elephants, in Sydney. People for the Ethical Treatment of Animals (PETA) Australia lauds the landmark victories of UK and India, which announced the ban of exotic circus animals. Earlier this year, PETA India and Animal Rahat released the results of a nine-month undercover investigation of more than a dozen circuses that travelled across India. PETA Australia described the findings as “shocking”. Authorised by the Animal Welfare Board of India (AWBI), the investigation documented cruelty to elephants. According to the AWBI report, many of the circus operators kept elephants in lamentable conditions: almost constantly chained, routinely and violently abused with bull hooks and other weapons. The Board has produced photographs of animals with open wounds, eye and foot conditions, and other severe medical problems. The report added that trainers were sometimes drunk while interacting with the animals, and none of the circuses had permanent full-time veterinarians present on the days of inspection as required by Indian law. Following headlines of abuse around the world and pressure from animal rights groups, the AWBI confirmed it has “decided to stop registration of elephants for performance … in view of huge cruelties and abuse”. PETA India said this is a move that will effectively mean an end to the captivity of elephants in India’s circuses. It also indicate support for an eventual ban on the use of all animals in circuses in India. The AWBI is now preparing to seize old and injured elephants named in PETA India’s report for possible rehabilitation. “This tremendous victory for elephants in India – along with the recent British decision to ban all wild animals in circuses by 2015 – is a sure indicator that we’re moving closer to an end to the abuse of animals by cruel circuses around the globe,” PETA Australia said. In Australia, there is a strong advocacy against entertainment animals, both nationwide and all across states. One of the studies on Australia’s performing arts industry also confirmed that traditional circuses are part of the dying nomadic settlers’ industry. ”Australia’s last nomadic settler community and the only travelling entertainment continued its cultural role unabated for over 150 years”, the study said. However, it is time for the industry to give way to the rise of animal activism, as well as to the changes in financial, social and environmental conditions of the time. Part of the activism is caused by a list of incidents involving Australian circus animals as well as sad tales of elephants in circuses around the world. 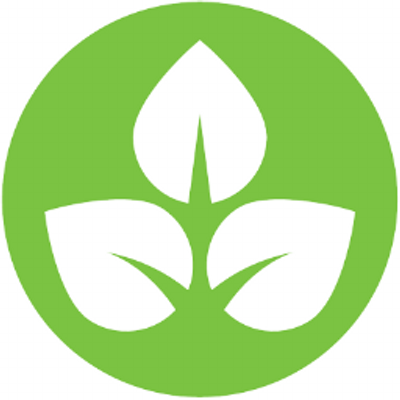 At the forefront of the advocacy also include: Animals Australia; Human Society International Australia; RSCPA (Victoria) and other states; and Animal Justice Party, to name a few. Animal Australia is distressed to see another footage of Australian cattle being slaughtered in Egyptian abattoirs. The “voice of animals” from Downunder reiterates its opposition to live exports, a major industry that generates millions of dollars in earning and employs more than 10,000 people in rural and regional Australia. Head campaigner Lyn White said a “brave Egyptian veterinarian” has contacted her to seek the group’s help to rescue the victims of abbatoir violence in Egypt. The veterinarian is said to have witnessed horrendous abuses of Australian cattle in the country. White said the animals are terrified “having their eyes stabbed, tendons slashed, throats brutally cut open and being butchered alive. “ The brutality was aired on a nationwide ABC’s 7.30 program. To the carnivores, the history of animal slaughter dates back to ancient times. It has become part of culture in many ancient civilizations. It is done as a ritual to appease the gods or simply for human consumption. The animal was led by a rope in lieu of a nose ring, often the noose was fastened to the lower lip as well. The butchers tied a rope to one of its legs, passed it over the animal’s back and pulled it up. Then the cow was wrestled to the ground, its legs bound together, its head pulled back, and with a hand-long knife  its throat was cut. The blood was collected in shallow vessels….. I multiplied the divine offerings presented before thee, of bread, wine, beer, and fat geese; numerous oxen bullocks, calves, cows, white oryxes, and gazelles offered in his slaughter yard. Regardless of the purpose, animal advocates are appalled with the graphic images of animals being slaughtered. White said the latest cruelty is systemic and Australia’s live export industry had purpose-built two supposed ‘state of the art’ abattoirs that were being used to abuse and brutally slaughter Australian animals. She said the live export trade has been exposed for knowingly supplying animals to extreme cruelty. The advocacy group is also pushing to stop factory farming, animal testing, and all sorts of animal “injustices”. Can there be a solution to stop animal slaughter? While the Federal Government is working out for a solution, the group has an answer: vegetarianism– which is also one of its advocacy agenda. Of course, the livestock industry will not agree. Sea activists are celebrating the defeat, for now, of Japanese whale hunters who have ”left” the Southern Ocean. Sea Shepherd Australia announced the success of Operation Zero Tolerance (OZT), a campaign to drive the Japanese whalers out of the seas near the Antarctic. The conservation group welcomed the return of three ships commissioned to carry out the anti-whaling campaign. The ships, Steve Irwin, Sam Simon, and Bob Barker, with 110 international crew members, arrived at Seaworks Pier in Williamstown, Wednesday, amid a throng of anti-whaling fanatics. The euphoric return is considered a victory for the whale conservation. Paul Watson, founder of the Sea Shepherd Conservation Society, earlier hailed his group’s success and said the Japanese had the lowest catch in history with “no more than 75″ of the mammals culled, the Japan Times reports. The Japanese claims whaling is for scientific research purposes to justify the trade. Pic: News Ltd. The three vessels embarked on the voyage in November last year to combat the Japanese whale killers. After four months, the OZT is considered as the most successful campaign so far in sending the Japanese back home. A Japanese ship (right) collides with Bob Barker. Pic: AP. 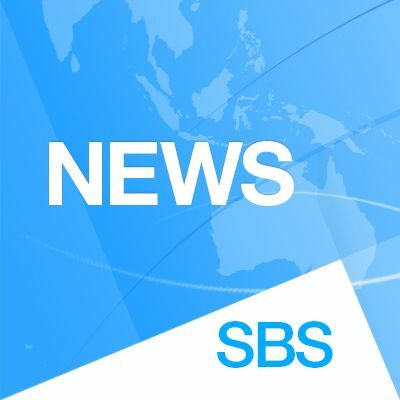 Bob Brown, a co-chair of the OZT was alerted during the confrontation and had called on Australian government to dispatch a naval ship to the area to ease the tensions. “It is illegal to be ramming ships in any seas anywhere on the planet. It is illegal for a tanker to be carrying heavy fuel oil into Antarctic waters under international law,” Brown said. Three ships and 110 crews arrived in Williamstown, VIC, but not Captain Paul Watson. Pic: Sea Shepherd Australia. Jeff Hansen, Director Sea Shepherd Australia, however, acknowledged with “heavy heart” that Captain Paul Watson has not arrived ashore. Watson has disappeared after skipping bail in Germany amid allegations by the Costa Rican government that he endangered the lives of shark finners back in 2002. Watson strongly denied the allegation. He also faced extradition requests from both Costa Rica and Japan against whom Sea Shepherd have waged a long and bitter war over whales in the Antarctic. A whale being hauled by a large Japanese vessel. Pic: Australian Custom Service. While sea activists are celebrating, the Japanese Agriculture, Forestry and Fisheries Minister Yoshimasa Hayashi earlier said that whaling has been part of a long historical tradition in Japan. Sea Sheperd may have won the battle, but the war is not over.